Today’s marketplace is highly competitive, making it more important than ever for companies to think of innovative new ways to streamline their operations, increase efficiencies and optimise productivity. With over 1.5 billion users globally, there’s no denying that social media has become a part of our everyday lives and has a major influence on trends and consumer behaviour. While most of us use social media for personal use, social media can improve an organisation’s supply chain management as it can create more visibility, improve communication, increase control, and reduce labour costs. Despite the obvious benefits which come with social media, a recent survey conducted among 77 companies in the wholesale, distribution, manufacturing and retail industries found that only 1% of companies relied on social media for organisation and planning. Thanks to social media sites such as Sourcemap , you can increase transparency (and control) across the entire supply chain, enabling you to better understand where to source raw materials through enhanced partner discovery strategies. 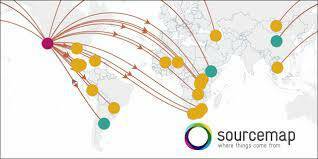 On Sourcemap, you can access all of your supply chain information on a map so you can pinpoint the origins of any part of a product and contact any supplier. Social media networks allow shippers and carriers to communicate effectively and to alert customers of delays quickly and in real time. Twitter is one of the best platforms to notify customers of any unexpected changes such as accidents and road closures or shipment delays. Social media can provide companies with more timely and insightful information about risks and events, enabling them to make corrective action sooner and thus minimising the impact of a supply chain disruption. Social media is a great place to learn more about the reputation of vendors and potential supply chain partners. Online reviews are becoming an increasingly important way to form an opinion or product, with 88% of people trusting reviews as much as personal recommendations. Check the reputation of vendors by capturing customer experiences of other users across all social networks. Social media also enables you to see what your competitors are doing – perhaps they have implemented a new technology or have a promotion running. Tap into social media to get to know customers and partners more intimately. According to Ed Rusch, vice president of Elemica, building that relationship increases retention and promotes opportunities to cross sell. Sites like Twitter, Facebook, Google+, and LinkedIn can help organizations openly communicate with their customers, which will help them improve demand, increase customer service, and increase visibility. One way in which you can do so is by creating automated updates about your inventory and post it on these sites. Alternatively, you can respond to customer questions or concerns about products, delivery, or other parts of the supply chain. Better communication with customers allows you to increase your customer satisfaction and retention rates. Social media lets you join forces on a much larger scale than email or phone communication. Social media lets you allows you to stay in touch, in real time, with your entire supply chain so you can manage it more efficiently, save time, keep everyone in the loop, and increase productivity. As HCM Workspoints out, social media enables you to track logistical updates, share data and knowledge, improve relationships, and monitor progress across your entire network of suppliers. In addition, social networking can help companies generate more ideas for improving supply chain processes and solving existing problems by tapping the collective insights, knowledge, and expertise of employees across all levels of the enterprise. Social media is an excellent place to source new talent for your supply chain. In fact, you’ll have access to millions of suppliers. 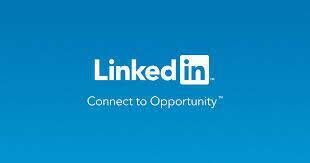 LinkedIn in particular can be a highly beneficial tool to use as part of your procurement process. You can pinpoint exactly the skills and experience you’re looking for in a new partner and find the right company to work with. Social media is inevitably going to play an important role in the future across all different types of media. From the 140-character messages of Twitter, to sourcing new suppliers and partners on LinkedIn, companies have more ways of engaging employees and clients than ever before. The faster you adopt social media to aid in supply chain management, the more leverage you have over your competitors.